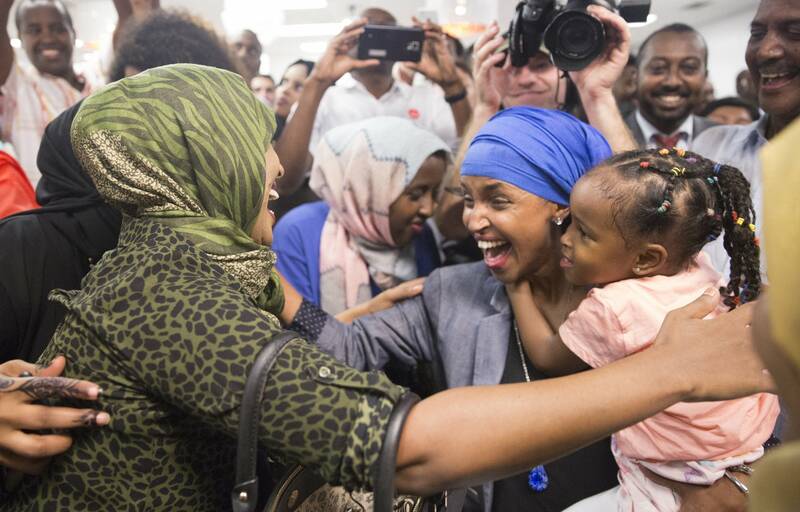 Look for history to be made in the race for a Minneapolis seat in the Minnesota House — the first Somali-American candidate will be elected to the state Legislature. DFL candidate Ilhan Omar will take on Republican Abdimalik Askar for the District 60B house seat in November's general election. Omar, 33, defeated longtime incumbent Phyllis Kahn in a three-way Democratic primary race Tuesday night. Omar now takes on Askar, who was the Republican candidate for the seat in 2014 as well. That year, Kahn defeated Askar with almost 77 percent of the vote. Against another Republican, she won with almost 79 percent of the vote in 2012. 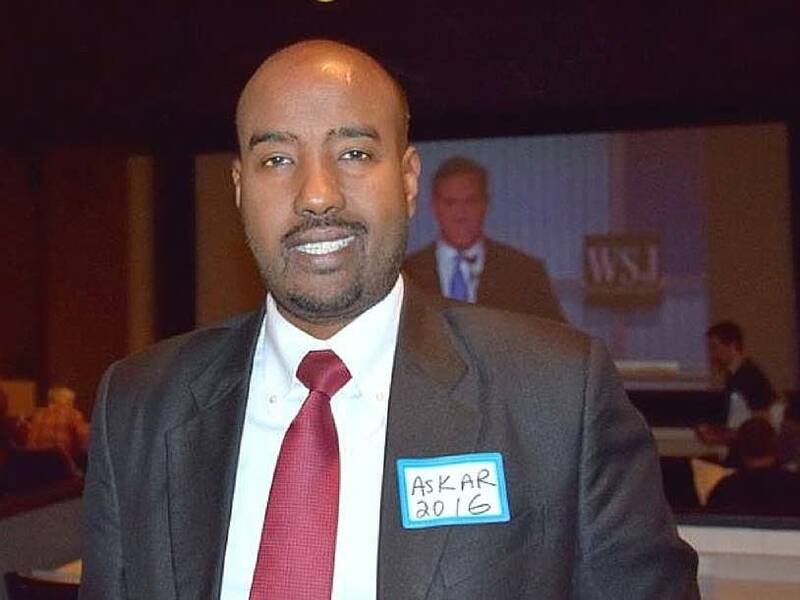 Askar, 40, understands he's got an uphill battle, especially as Republican presidential candidate Donald Trump has not only called for a ban on Muslim immigrants, but more recently, singled out Somalis in Minnesota, citing a Washington Times commentary that said Somali Americans have put a strain on the state's welfare system. "When it comes to the Somali communities, the Muslim communities, when Donald Trump says something related about specific Somalis, he's labeling all the Somalis, for example, as terrorists," he said. "If he's saying that, that will hurt me, that's for sure." Omar said to have two Somali-American candidates for the seat, coming just days after Trump's comments, is heartening. "I think this is an interesting twist and something for us to be really proud of as Minnesotans," she said. Askar, who leads an IT support team at Wright Medical Group, hopes people will look at where he stands on issues. "The main thing that caused me to run was students failing in schools," he said. "The Republican party has the wonderful platform for school choice." Askar is working on his doctorate in education leadership at St. Mary's University of Minnesota. He said education is his biggest priority. He agrees with some in his party on several social and fiscal conservative stances — he says marriage should be between a man and a woman and is against abortion. "I believe in the small businesses, I believe in a small government," he said. "I don't believe the government should take all the taxpayer's money." Omar, a former senior policy aide for Minneapolis City Council member Andrew Johnson who currently serves as the policy director for Women Organizing Women, wants to work on closing racial disparities in education, raising the minimum wage and making higher education more affordable. "We need to work towards a more progressive, and prosperous, and equitable Minnesota," she said in an interview with All Things Considered host Steven John. The most recent data for the district that includes the University of Minnesota, Cedar-Riverside and part of the Seward neighborhood, shows about 20 percent of the population is black or African American, including a large Somali population. Omar said she got into the race in for several reasons. "I believe that our district's diversity should be celebrated," she said. "And that we needed someone who had the cultural fluency to unite our district and have all our voices be heard and collaboratively work together." Peter Cox is a general assignment reporter for MPR News.